Home Real Estate What is Homeowners Insurance? When people buy a home for the very first time, they find themselves trying to gain a lot of knowledge in a very short time, about home ownership and all of its requirements. One of these requirements is homeowners insurance .There is a lot to learn about homeowners insurance, and it is important to learn what it is, and what it does and does not cover. This type of homeowners insurance is known as term insurance, and it covers a specific amount of time, which is renewed with every payment made by the homeowner. Most homeowners insurance policies cover the structure of a home, including any sheds or outbuildings against the risk of events such as fire or theft, along with several other unfortunate events, such as lightning, hail, and the weight of accumulated snow. Not all insurance companies will offer coverage on the same events, and the locality of the property being insured is taken into account by the homeowners insurance companies. Most homeowners insurance companies exclude flood and earthquake damage in a basic homeowner policy, but some also offer one or both of these as a supplemental policy in certain areas. 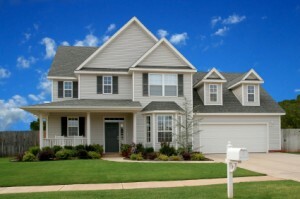 Other exclusions from homeowners insurance often include mold, fungus, termites, and dry rot. Aside from the structure, most homeowners insurance companies also offer personal property insurance, for furniture and other belongings.